Louisiana Attorney General Jeff Landry told Breitbart News that attorneys general across America  both Democrat and Republican  are considering all actions, including the use of existing antitrust law, to curb the growing power held by technology firms such as Google, Facebook, and Twitter. Landry offered his remarks in a Tuesday interview on SiriusXMs Breitbart News Daily with host Alex Marlow. We have seen a tremendous amount of consolidation in regard to social platforms and the tech industry over the last decade, and the result of that has become a handful of companies that have amassed a tremendous amount of data and power over the U.S. and world economy, said Landry. It's time for people to stop jabbering about "muh private corporation" and realise that Big Tech is being used by the deep state as a workaround to censor threats to the deep state's power. The government can't "officially" censor because of the 1st amendment, so Big Tech serves as the "unofficial" censor. Time for it to stop, and time for the 1st amendment to be applied to Big Tech firms that control such massive amounts of the public discourse today. Enough of these leftist speech only Nazis. I hope folks here begin to understand why we have anti-trust laws - to stop combinations that threaten our freedoms. Look at how they are working on taking out Fox or converting it to another leftist big brother outfit. Like is an INCREDIBLE journey. I spent most of the obama years recovering from head injury, thinking things could never be good again. Now I am quite a lot better and almost EVERY DAY I read something that gives me hope for our country!!! Trump thinks like WE DO. Not easy for a gazillionaire!! I will ALWAYS LOVE The Great One and he saved the country like Michael Corleone saved the family and he took down an ENTIRE EMPIRE and freed hundreds of millions. But, in all due respect to The Great One, I think Trump is the best “man of the people” President we have ever had. I will NEVER compared Trump and The Great One. They are both GREAT in their own ways. When Elizabeth Warren and Ted Cruz actually AGREE on something, it’s time. Awaiting a Trump 'tweet' regarding whether these are 'service' platforms or 'information' platforms and thus open to responsibility of content. Sadly, we don't have the global punch as does the other side, which would have slapped 'em back a long time ago. A warning shot from the progressives. Help us win or we’ll come after you. Fauxcahauntas wrote this. But she is correct. 1984 was a WARNING not a MANUAL. I suppose a person could take the position that these companies for all practical purposes are utilities. I love using colorful language! Or colorful **** symbols for that matter. I can’t help it, maybe I’m just crude and unrefined, but so what, I’m just a regular joe. Sometimes though if I’m really angry about something, I either forget to censor myself or just don’t, and I get in trouble here. Oops! And yep Trump is the best president man of the people that we’ve had, and because of how he is, he has made me hate everyone else in that town who is not him. There isn’t going to be any replacing Trump, and I’m pretty sure that when his run is done, the GOP will go down in flames very darn quickly. From your first word to your last, I agree across the board. Conservatives can’t wait for the market to offer meeaningful substitutes. Big tech has marked us for an extinction that will take place before alternatives develop. AP: Today, the Supreme Court struck down a lower court circuit ruling that had ordered the break up of big tech monopolies. The previous ruling had decided that Google, Twitter, and Facebook were monopolies, and that they had suppressed conservative speech. 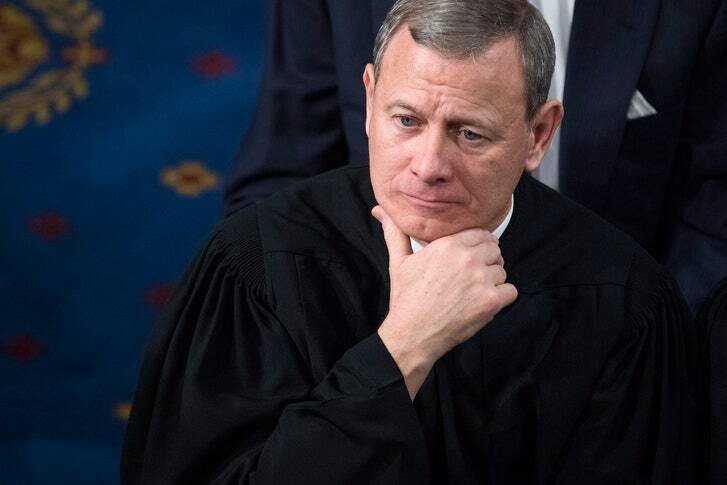 The Supreme Court rejected that ruling by a vote of 5-4, with Chief Justice Roberts joining the court's liberal wing. I know that you are a good man. And IMO they are abusing their power purposely. At LEAST 60 percent of the time! They exercise the power of censorship and of influencing elections by virtue of controlling 90% of their respective markets - and that kind of power CANNOT be allowed to continue to exist. Power corrupts, absolute power corrupts absolutely - and there is no truer example of that than these 3 companies.